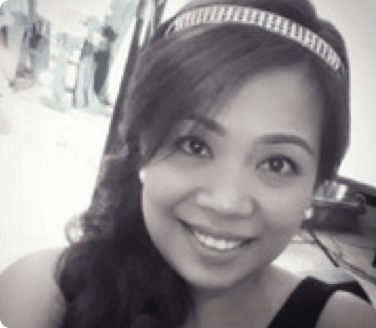 “I started with 10 agents and in just 2 years after using goLance, I have 32 customer service and telemarketing home-based contractors in the Philippines that rely on the goLance platform. The work diary makes it easy for me to track their activities and meet the growing needs of my ecommerce clients." Sheena Arellano is a strong believer in the value of letting people work from home but needed to make hiring contractors more cost effectivefor the Arellson Agency. When she started the agency, she wanted to give people the opportunity to experience the benefits of working remotely while also delivering a superior level of service to her clients. Arellson Agency, which is owned by Sheena and her husband, Jasper Arellano, provides customer support to retail ecommerce businesses and lead generation services for a variety of industries. “Our agency offers contractors flexibility that’s not available when they work in a corporate office. They also have lower transportation costs and they’re not spending time commuting, which is real benefit to them,” she said. In the Philippines, workers in all industries generally make a fraction of their United States-based counterparts. The extra savings they get by working from home can make a huge difference in their quality of their lives. The platform she had been using with another company was expensive for contractors and she wanted to lower those costs. Sheena also needed more payment options for contractors, flexibility for her business, and a way to closely monitor agent activity. goLance has a payment system that my clients and agents love to use. It also costs so much less than the platform I used previously to recruit, hire, and manage contractors. I’m so happy with goLance that I’ve recommended it to my clients and it has helped me to grow my business. Arellano’s manager uses the work diary to communicate with the home-based agents on a daily basis and oversee their work. Using Transpay enables the remote workers to get paid much faster than ever before. The low fees for using goLance reduces the cost of doing business. And, since her clients don’t have fees for using the payment service, it’s easier for the Arellson Agency to attract more clients. This has been very helpful. This level of service was not available with other companies. goLance helps me to make a difference in the lives of my contractors because it simplifies the process for them to work from home so they can enjoy all the benefits and flexibility of working remotely. Arellson Agency does much more that simply outsourcing customer support and lead generation agents. The goLance technology and business model helps make it easy for Sheena to manage the contractors that support their ecommerce clients very effectively and deliver the customer experience they expect. Sheena and a manager can verify that the contractors are performing at high levels by monitoring the goLance contractors that support clients. For example, they use the work diary to check the activity levels of each contractor to help ensure that levels are generally around 70 to 80 percent. When Sheena works directly for a client, such as managing a client’s contractor, she also uses the goLance platform to get paid. It’s easy for the clients, they can see what she’s working on, and it simplifies the billing process.